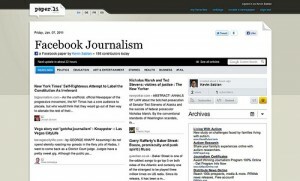 Should Journalists Use Facebook As A Journalism Tool? My first post for The Center for Sustainable Journalism is up on the blog. It’s about social media and journalism. The two are coming together as social journalism. 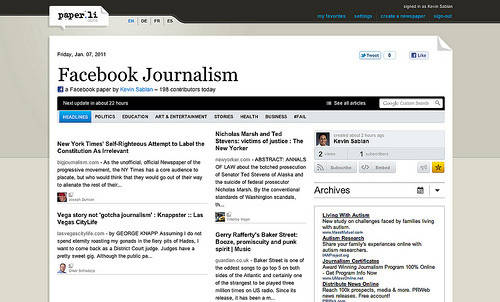 Are there things journalists should consider as they use tools such as Facebook? These issues will continue to come up as more journalists and media organizations use them. Read my post if you want to know more about Facebook and journalism. I know have a page for myself as a writer, which I’m still trying to figure out. I haven’t used the site too much in a journalistic way, however, I have made use of Twitter.